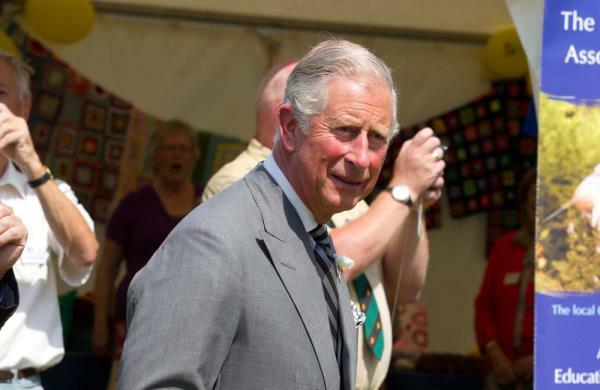 Britain's Prince Charles has revealed he’s "overjoyed" at the birth of his first grandchild, the Prince of Cambridge. Britain's Prince Charles is "overjoyed" by the birth of his first grandchild. The Prince of Wales' daughter-in-law, Catherine, Duchess of Cambridge, gave birth to a boy ? her first child with Prince William ? yesterday, and the doting grandfather and his wife, Camilla, Duchess of Cornwall, are ecstatic to welcome the latest addition to the royal family. In an official statement, he said, "Both my wife and I are overjoyed at the arrival of my first grandchild. It is an incredibly special moment for William and Catherine and we are so thrilled for them on the birth of their baby boy. The royal newborn ? who will be third in line to the throne after his grandfather and father ? came into the world at 4.24 pm GMT yesterday and weighed 8lbs 6oz (3,8 kg), according to Clarence House. Both mother and baby are doing well and remained in hospital overnight in the Lindo Wing at St Mary's Hospital in Paddington, London. Prince William (31) was by his wife's side for the birth and informed his father, grandmother, Queen Elizabeth, and brother, Prince Harry, of the news before it was made public via an official press release.